Lately, when I leave my house I feel a little bit of anxiety… for being away from my craft room, out of fear I’ll need a tool or something else I may have in there while I’m away. Or if I have an order in progress, I’m afraid of my house catching on fire, not because of my house, but because of the order. I know, I need a therapist lol, I’ve just really grown fond of being there and all my crafty possessions. So when I left to Colombia for my prince’s birthday and to spend the holidays with the family, I took some coloring pencils, all my sketch books, some photo booth props I pre-made (for the birthday, Christmas Eve & New Year’s Eve), and that was it. Basically, anxiety to the MAX. Then, my family decided that Christmas Eve would be celebrated at my grandma’s house, where we barely have some lights here and there, but no tree, or nativity, or garlands, or pretty much anything to make it feel like the season. With very little time and zero knowledge of places where I could get supplies, all while trying to not spend much money, my mom asked me to transform the house into a Christmas town. Want to guess how long I had to make this happen? SIX hours. Want to guess how much I missed my craft room and supplies? Manic depressive mode FULLY ON. So… I ransacked my grandma’s closets and boudoirs looking for possible decor, grabbed my coloring pencils and my agenda, ripped out some pages, and tried to make a semi-cute garland. On ruled paper. I died a little inside. But hey, true creativity comes not exclusively while in the optimal environment. On the contrary, the true test of creativity is when you “make do” with what you have. Chopped style! Here’s a little gallery of the transformation I was able to pull off for Christmas at my grandma’s! I didn’t even have a sharpener! So my artist cousin lent me his exacto knife and I did it, the legitimate way! Santa Marta is low key a desert. So my version of a Christmas Tree centerpiece was a cactus. I regret nothing. When we turned off the lights and let the makeshift nativity scene shine! So all in all, thanks to some last minute rentals, my foresight to bring the props and some bibbidi bobbidi boop magic, the Christmas town transformation was successfully pulled off! But just imagine what I could’ve done with a tenth of my supplies? Meeting an aunt for the first time, and her falling in love with the concept of props (she’d never seen them before) was AWESOME! 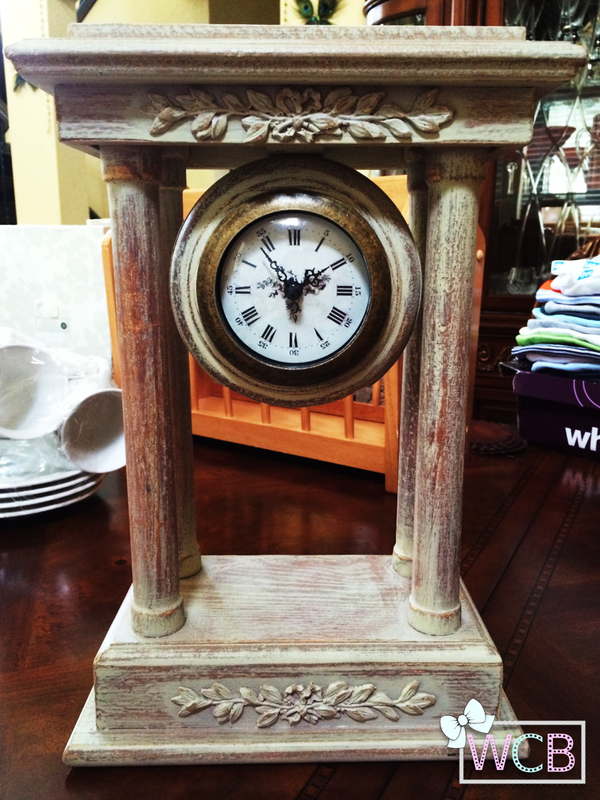 The first thing I saw was this Greek/Roman looking clock, very distressed with a hint of pale pink and overall perfect. Once I cleaned it and put in a brand new battery, it looked and worked as good as new! I rounded up the trip with a few more items like a pink vintage tray, some mugs for a soon-to-be-on-the-blog project, a magazine rack, and best of all, some vinyl LPs for my dear record player! Vintage Vinyls! What a redundant statement, but it’s the most accurate description ever! Not too long ago, I got bit by this bug that left me permanently changed: the vintage bug! Sounds funny, I know, but the truth is I’m not really sure how or where it came from, but I became OBSESSED with everything vintage. I’ve always been told I’m an old lady, so it actually kind of makes perfect sense. Anyhow, my bff Pinterest has helped grow and cultivate my love for the vintage vibe resulting in my “Vintage Bug” virtual pinning board, from which I’ve been drawing inspiration for my craft room remodeling since one of the characteristics of vintage items is pastel colors, and my craft room color scheme matches that to the t. I’ve been thinking of my craft room not only in the context of a home office, but kind of like how guys think of man caves, and I want to make sure the room contains items that are unique to my taste and that make me excited to be there. One of the vintage items I’ve been most interested in acquiring is a typewriter. Yes. In the peak of the age of technology, miss cavewoman over here is regressing several decades. For me, typewriters have a sentimental value because my mom always tells me about her first jobs where she used to work with them, and I remember seeing her working on one when I was very little. 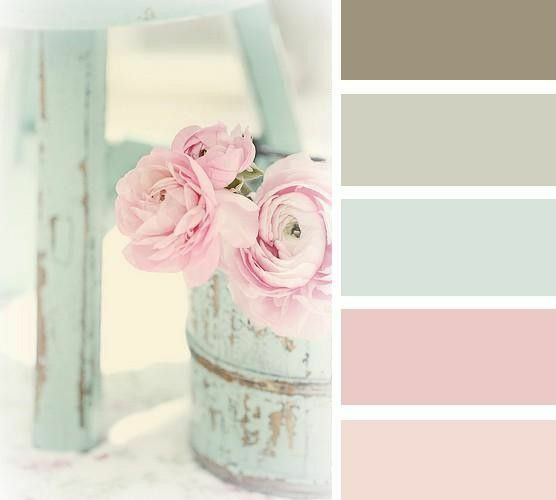 Now, as I mentioned on my previous craft room entry, I’m holding myself accountable to the color scheme of light teal/white/pale pink no matter what, and it would be AMAZING to have a pale pink typewriter as an accent piece in the room. Problem is, pink typewriters are very very VERY scarce, and extremely expensive, like in the $350 neighborhood. But, I’m determined! 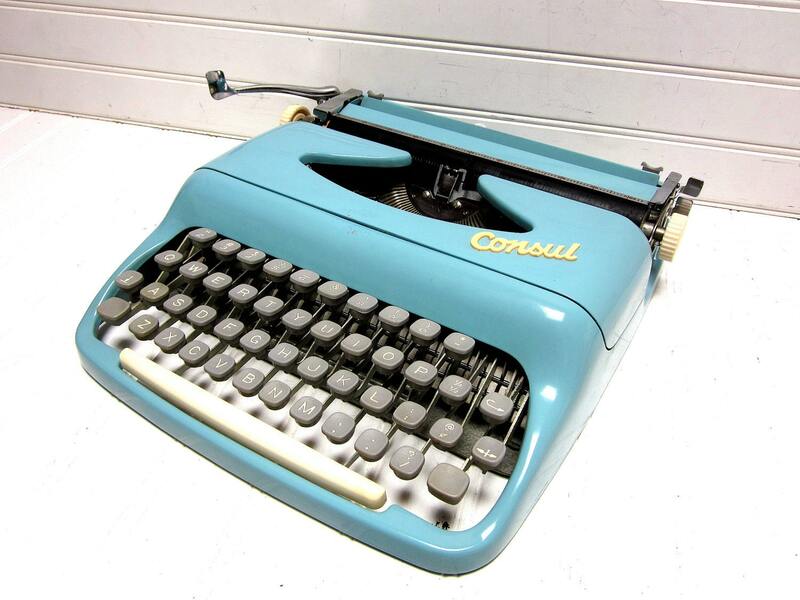 I found this 1950-something blue consul typewriter on eBay from an antiques shop for less than $40, and since it’s a local seller I was able to arrange for pick-up instead of paying for shipping! “But, it’s blue!” you may say, and you’d be right… Except for the fact that I turned this into a crafting opportunity 😀 I’m turning this bad boy pale pink with the help of some spray paint! See below the process of protecting the keys, and the final result! I’m so so so happy with how it turned out, and the special touch it gives my craft room. I bought a new ink ribbon for it on Amazon which works perfectly, and the best part is my mom has shown me a couple of tricks to use it and definitely brought the nostalgia aspect I wanted 🙂 Do you like how it turned out? 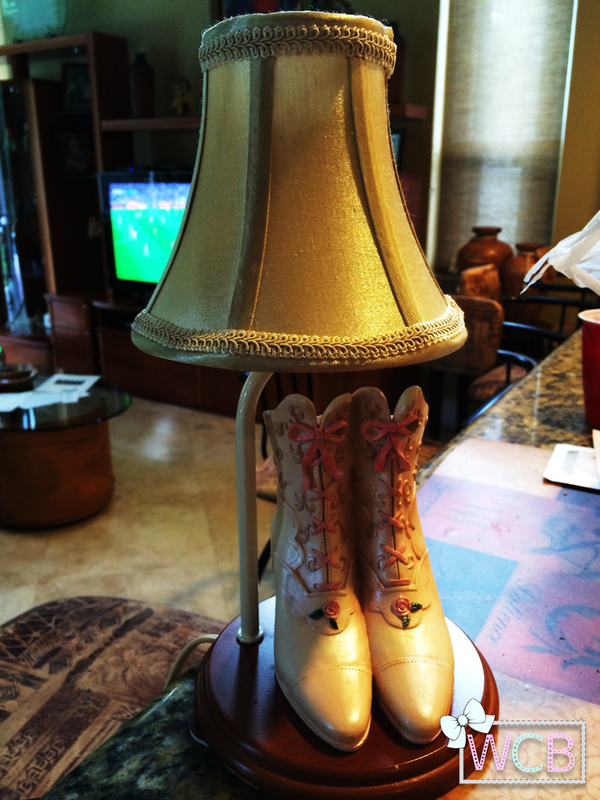 Do you have any items you wish you could paint over? Project Craft Room – Step 1: Paint! When I’m focused on a project (especially something that makes me happy) I don’t stop. Project Craft Room is the definition of 100% focus, and the paint job is all done! It’s super important for me to stay within these colors, because when we moved into our house a couple of years ago, I had originally intended to keep a dark teal, white and black scheme for the whole room, but my love of Britto art took over and the scheme went out the window. So this time around, I’m serious! This is exactly what I want from my craft room/home office. A space where I want to be, that helps me clear my mind, relax, and fuels my creativity. Needless to say, I’m STOKED with the results! Now that the color is finished, I’m trying to take out all of the furniture so I can see the space and plan out how to best distribute each area. I’m so ready to create 😀 How do you like the color? Wasn’t the color psychology info interesting? Knowing this, what color would you choose for your work space? Leave a comment! Lo and behold! A crafter needs their space… And if its me, then it’s A LOT of space. And so begins the journey to my own personal Narnia: the perfect craft room. We’ve always had a room reserved for guests in my house, but since I’ve been working from home about 80% of the time and my back is taking a hit from doing most of the work from my comfy bed, it’s time I make a better space for myself to complete my work and also my crafting (because about half of my bedsheets have some sort of stain due to not-so-tiny craftccidents and that needs to stop too). So bye bye guest room, hello craft room! This is really a super exciting project for me. I love to paint rooms and build IKEA furniture, so I’m quite literally living for this moment. I’ve gotten a head start to the planning with the help of my dear dear friend Pinterest, more specifically, a trusty secret board 😛 and I can’t wait to share the results little by little with you. First things first – the before! The guest room wasn’t regularly as messy as it looks in these pictures… It just so happens that upon deciding that the transformation was happening, I got right down to business and moved the contents of the room away from the walls so I could start painting ASAP, and so the room looks like an abandoned storage unit. And with that, I leave you! Off to paint 🙂 Do you have a craft room? How did you go about the remodel? Any suggestions for me? Comment below!